Given the two options – a fixed line phone and a mobile phone – in front of you, which one would you latch on to make an instant call to your colleague? With the call charges almost same on both the connections (infact, even lower sometimes), I would definitely prefer connecting through my hassle-free cell phone – just open my Contacts folder and there goes the ring?…Tring! Tring! Well, this advantage of portability of the cell phone is already taking its toll on the land line connections and their growth rates. The fixed line phone business in India in 2009-10 saw a negative growth with revenues dropping by 23% to Rs.18900 crore from Rs.24649 crore in the previous fiscal, revealed a survey on telecom industry journal. While MTNL, BSNL and Bharti Airtel saw negative growth, Reliance communications and Tata Teleservices reported a positive growth in revenues in the fixed line business segment. However, the International Long Distance (ILD) segment has posted a 17.3% growth based on a booming subscriber base. The international calls charges have now been rendered cheap and can be logged on through multiple options such as calling cards or a direct dial access code. Also, as consumers continue to cut costs, more and more subscribers could well be cutting the cord. The country is gradually shifting to cell phone usage on per head basis – thus limiting the usage of fixed line connections. Part of the reason for the shift from fixed line to mobile phone preference could be more to do with the comfort level of people with the technology. It has also to do with the more rentals costs to pay with multiple lines within the same home, so people prefer to limit connections. The churn in fixed lines remains to be an area of major concern. Falling tariffs and drop in fixed line users have had a telling effect on MTNL’s bottom-line figures over the last few years. 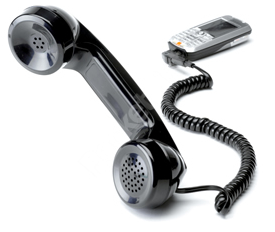 Can land line players turn up with a surprise with the introduction of the 3G?